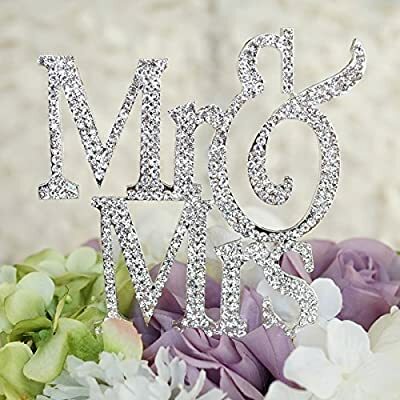 Product prices and availability are accurate as of 2019-04-15 00:11:23 EDT and are subject to change. Any price and availability information displayed on http://www.amazon.com/ at the time of purchase will apply to the purchase of this product. 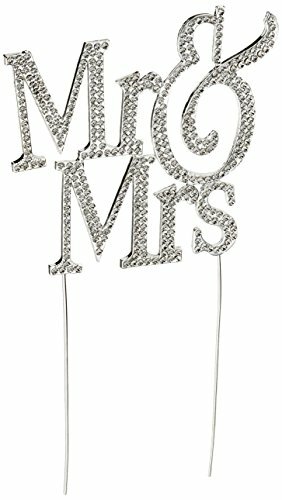 Mr & Mrs rhinestone monogram silhouette cake topper with a shiny metal alloy finish covered in genuine rhinestones that deliver an amazing shine. 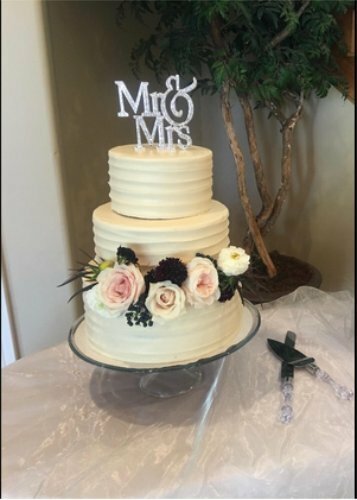 Perfect for weddings, anniversaries, or special occasions, this cake topper adds the final touches to your exquisite cake and delivers that Wow factor to your event! *Comes in 1 per package. 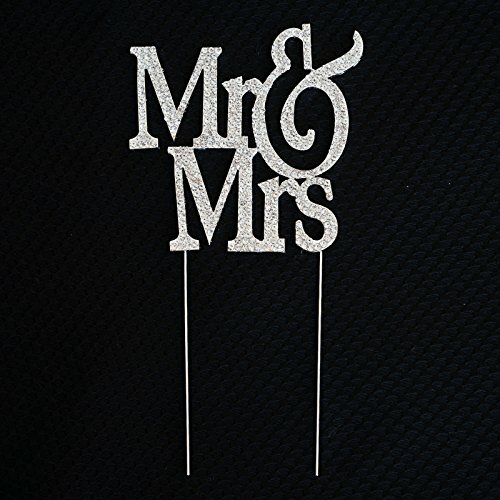 Mr & Mrs monogram silhouette cake topper in elegant formal text Made of metal alloy and covered with genuine shiny rhinestone crystals Measures approx 4.5" height x 4.75" wide (w/out prongs) with 4.5" long prongs Perfect for weddings, anniversaries, & special occasions Prongs can be shortened or cut off. Keep the top as Keepsake.